Every year, right before Thanksgiving, the President of the United States participates in a ceremony in which he gives one lucky turkey a presidential pardon. This lucky turkey gets to live another year, but where did this tradition come from? Ever since 1947, the National Turkey Federation and the Poultry and Egg National Board have given a Thanksgiving gift of a turkey to the President of the United States. Other than President Kennedy, every President before 1989 ate the turkey at their Thanksgiving feast. Although the first President in modern history to pardon a Thanksgiving turkey was President H.W. Bush, there are rumors of presidential turkey pardons that go all the way back to Abraham Lincoln pardoning his son’s pet turkey. Pardoned turkeys do more than live another year. 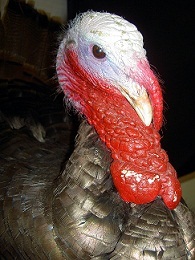 These famous turkeys go on to live on farms or at parks. In both 2005 and 2006 the pardoned turkeys got to go to Disneyland in California to be the honorary grand marshals in the Disneyland Thanksgiving Parade. Since 2010 all pardoned turkeys have been sent to Virginia, to live out their lives at George Washington’s Mount Vernon Estate. This Wednesday, President Barak Obama will be pardoning one lucky bird, in a tradition that’s fast become one of America’s favorite Thanksgiving traditions.